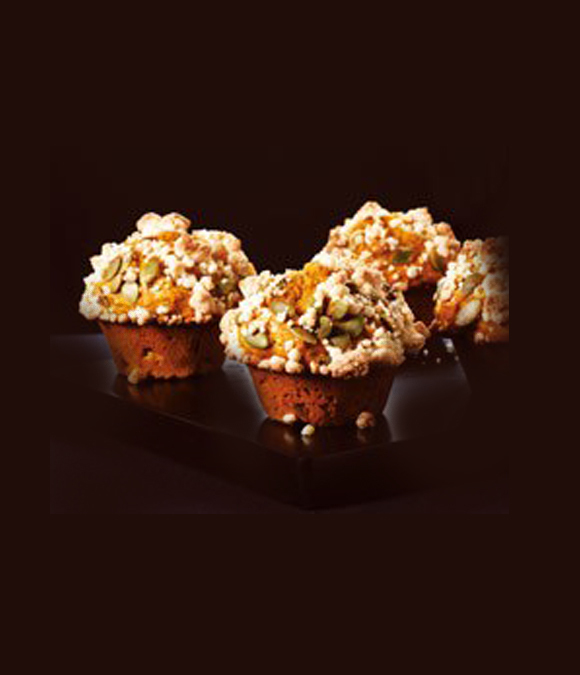 These high-topped muffins are delicious with the combination of orange and spice enhancing pumpkin’s robust taste. Styrian Gold pumpkin seeds are found at these health food stores CLICK HERE. Store them in a sealed container in dry place. 1. To make streusel, stir flour with icing sugar and baking powder. Stir in melted butter and vanilla until moist crumbs form. Set aside with raw pumpkin seeds. 2. To make muffins, preheat oven to 375°F (190°C). 3. Coat 12 standard muffin tin cups liberally with nonstick spray or butter, including top of pan for easy release of large muffins. Spread ½ cup (125 mL) pumpkin seeds on a shiny baking tray; bake for 5 to 6 minutes or until a few seeds turn colour. Cool on a rack. 4. Meanwhile, stir flour with sugar, baking powder, baking soda, salt and spices. Make a well. Finely grate zest from orange and squeeze ¼ cup (50 mL) juice. Lightly beat egg; stir in pumpkin purée, buttermilk, juice, vanilla and zest. 5. Stir pumpkin mixture and butter into flour until mostly moistened. Then stir in toasted pumpkin seeds until well-mixed; divide batter among cups, heaping slightly in centre. (Batter completely fills cups.) Sprinkle with raw pumpkin seeds; then liberally with streusel crumbs. Press seeds and crumbs gently into muffin tops. Tip Pumpkin purée freezes well for months if pre-measured and spooned into freezer bags. Flatten purée in bags, excluding as much air as possible before sealing, and freeze flat for swift thawing.